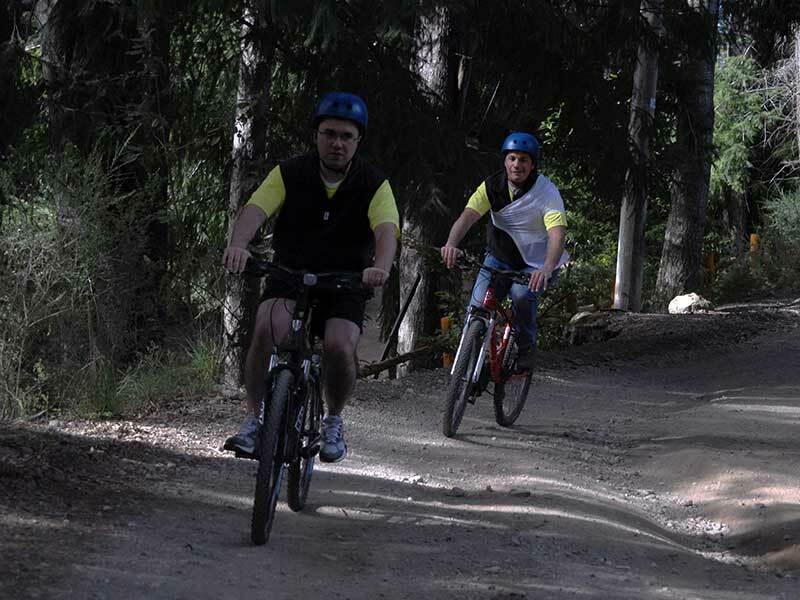 These multisport adventure trips in Bariloche are specially designed for those with an eager adventure spirit, that each year request a 2 day trip combining several adventure sports in the way (whitewater rafting, mountain biking, horseback riding and camping)…. These multi-day trips are suitable for anyone older than 14 years. We will spend two days in this paradise-like place called “El Valle del Manso” (Manso river valley). We will be in constant contact with nature at its primary state, untouched and unpolluted. Imagine with your friends… your children sharing everything during these best two adventure days. Whitewater rafting the Manso river, which has very little of ‘tamed’ (Manso in Spanish means tamed, still) sharing a bonfire at camp site, horseback riding through ancient Andean forests watered with beautiful waterfalls or just mountain biking through the valley and hidden hiking trails. For those who already have some kind of experience paddling and want to enjoy the river closer and with more action, may choose a multisport adventure with duckies (inflatable kayak), kayaks which were used during the Eco Challenge adventure race. You will be at all times with a paddling guide that will help you and watch over your safety during the whole multisport trip. Those who are more trained may choose their own tailor-made multisport trip,choosing their own sport combination and the length of the trip. The only requirement is that you have a group of at least 6 people. You just have to bring along your sleeping bag and the eagerness to experience an unforgettable adventure… we provide the rest! Includes: Transfer, complete rafting equipment, mountain bike, rafting professional guides, food and beverages, tent. Required: To be confident about riding a mountain bike and a medium level fitness. 1st Day: Rafting the lower Manso (inferior) from Steffen lake to old sawmill Villegas. Asado Patagónico (pagonian barbecue) and camping by the Manso river. 2nd Day: Mountain biking for about 20 km (14 miles) about 3 hours bike ride on medium level trails to John’s camping (segunda pasarela – second hanging bridge). there we stop for lunch and the return to Bariloche about 17hs. 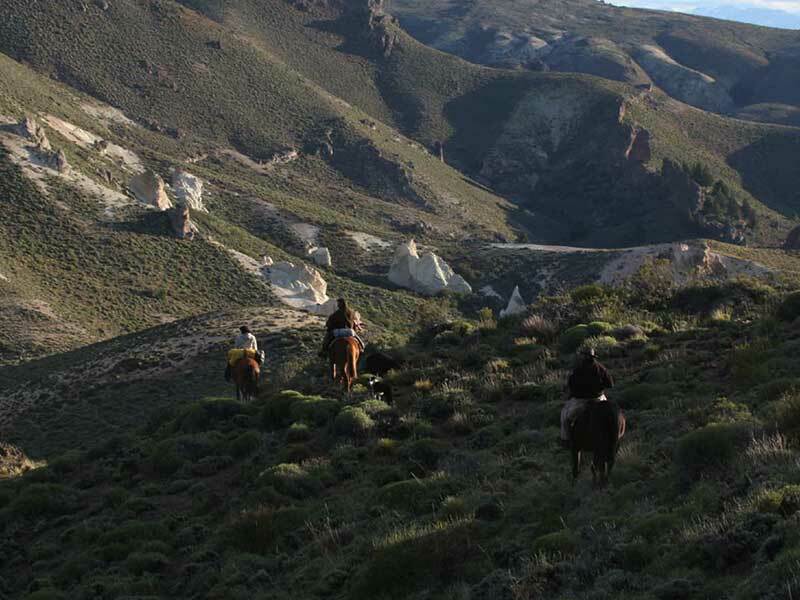 Includes: Transfer, complete rafting equipment, horse, professional guides, food and beverages, tent. Bring along: complete cloth and footwear change, swimming suit or shorts and something warm to wear in the evening. 1st Day: Rafting the lower Manso (inferior) from Steffen lake to old sawmill Villegas. Transfer to ‘Bastión del Manso’; asado (barbecue), bonfire and sleeping in El Tuco dinning room. 2nd Day: farm breakfast and horseback riding through trails and to waterfalls. Optional lunch and return to Bariloche about 17 Hs. Includes: Transfer, complete rafting equipment, mountain bike, professional guides, food and beverages, tent. Required: You should be older than 14 years, in good shape and trained, confident about mountain biking and swimming. 1st Day: Transfer to primer pasarela del Manso inferior (first swinging bridge over lower Manso), Mountain bikingfor about 20 km (14 miles) about 3 hours ride on medium level trails to John’s camping (segunda pasarela – second swinging bridge). There we stop for lunch, free afternoon, at night camping by ‘segunda pasarela’. 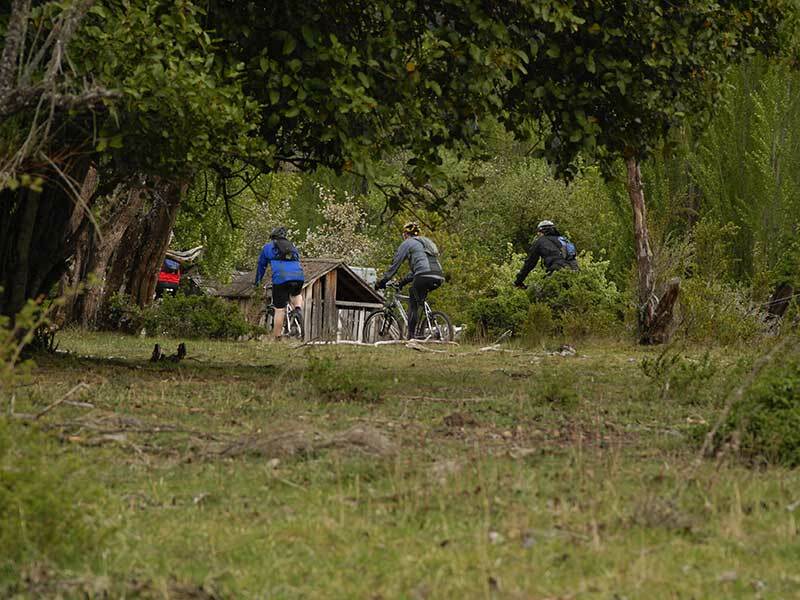 2nd Day: farm breakfast, rafting class III/IV (from segunda Pasarela to the frontier – border line with Chile); asado (barbecue) and return to Bariloche at about 18 Hs. Includes: Transfer, complete rafting equipment, horse, professional rafting & horseback riding guides, food and beverages, tent. 1st Day: Transfer service to Manso second hanging bridge; there we have breakfast and we go white water rafting over class III and IV rapids to the Chilean – Argentine border. When we reach the frontier we take the rafts out of the water and have lunch at this somehow unique border crossing pass. Then we check at the customs office to cross into Chile. There at the border line, there is a house but the line divides the house of Bahamonde family which has lived there for more than 100 years. At their courtyard they have the sign marking the border line between Chile and Argentina. Here we will stay overnight getting a good night sleep after having a hearty dinner with a patagonian barbecue (asado) with fine argentine wines. 2nd day: After a homemade breakfast we start our horseback riding trip by the Leon river. We get into ancient forest called Valdivian rainforest riding on mountain hiking trails passing by local settlers houses. 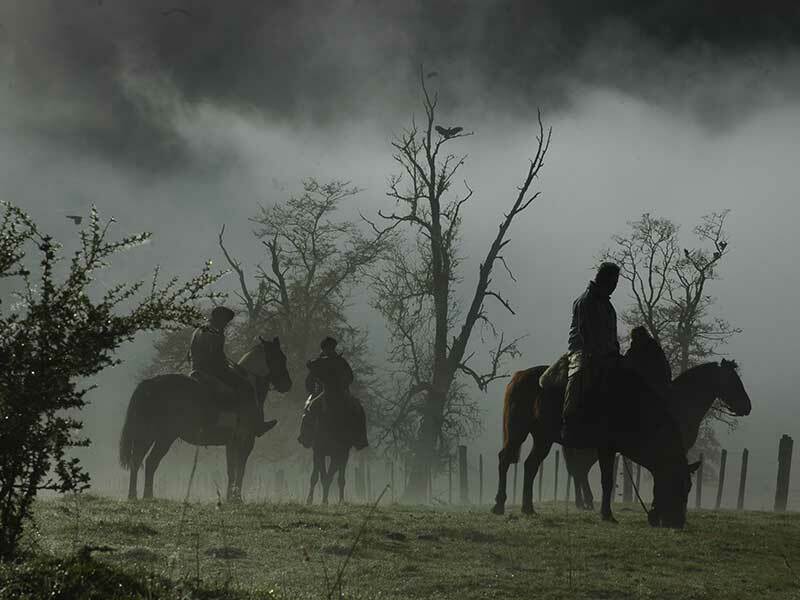 On our way we observe the indigenous flora and fauna, learn about the geography and geology of this special patagonian region. We reach the settlement León Alto where we have lunch. After lunch we return horseback riding through the same trail to our starting point. we take an afternoon lunch chatting about the multi sport adventure, there we say good bye to the horses to start our way back by car to Bariloche returning at 17hs. approximate.